Jesus never asked His disciples to remember His birth, but He did instruct them to remember His death and resurrection. He gave the church two visible symbols (called “ordinances”) as reminders of His death. These two ordinances are: Baptism and The Lord’s Supper also referred to as Communion. 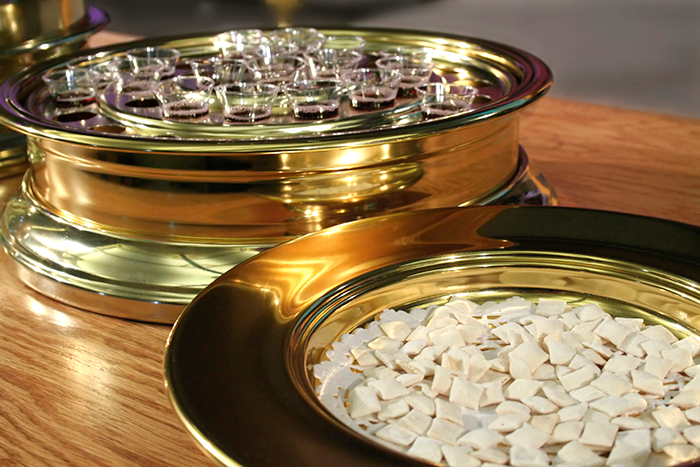 The Lord’s Supper is an object lesson that represents a great spiritual truth for believers. Jesus never said when or how often believers should observe The Lord’s Supper. At First Baptist Church of Honolulu we normally observe the Lord’s Supper on the first Sunday of the month during the worship service. However, communion may also be done at a special service, or in a Small Group of believers.